The 10 Best Comedy Clubs in Wisconsin! Get your giggle on at some of the best comedy venues Wisconsin has to offer. Local acts stack the lineups, where you’ll have an opportunity to see a future star live and in person. Other nights, you’ll get to catch world-class talent as some of the biggest names in comedy grace the stages. Either way, there’s nothing but fun to be had at our 10 favorite comedy clubs in Wisconsin! The Comedy Club on State offers an intimate, yet group setting for gut burning laughs. Get on a waitlist for their world-famous comedians that come to Madison, or order the day of to support your local talent. Prices are moderate but there is a two-drink minimum—which is outstanding to say the least. Some of the biggest names in comedy have performed at the Skyline in Appleton, Wisconsin. Skyline is coined “Wisconsin’s premier comedy club.” Those in attendance must be 18 years of age and there is a two-drink minimum purchase. Purchase your tickets in advance online for admittance into one of Wisconsin’s best comedy clubs. You can find nationally touring comics in Milwaukee at Jokerz. General admission is $10 per person and a two-drink minimum is required during show time. Friday and Saturdays are a hit at Jokerz, shows run from 8 p.m.-10 p.m. Catch a show before heading out on the town. Newly located in Milwaukee’s Third Ward, the Comedy Café is a fun place to be any night of the week. They offer drink specials, open mic nights, birthday deals, military discounts, and much more. They have hosted nationally known comedic headliners and support their local talent once a month for their open mic night. Catch improv comedy every Friday and Saturday at the Backlot Comedy House. They off fun events partnering up with other places in the city of Oshkosh. Get out of the house this weekend and check out their cheap prices and unusual date night options right in Oshkosh, Wisconsin. 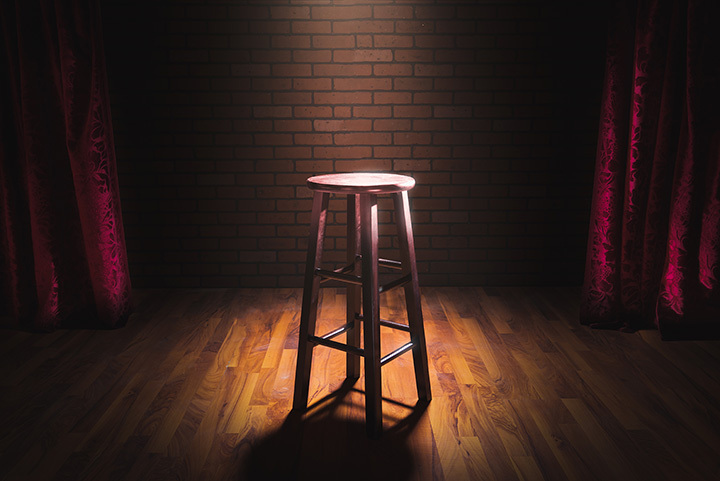 Sit front row during live professional standup comedy every Saturday at the Koo Coo’s Nest. Be sure to purchase tickets in advance because well-known comedic artists tend to go fast. At the Koo Coo’s Nest Comedy Club, “they take comedy very seriously”—see for yourself. The Atlas Improv Company offers tons of shows throughout the year. Tickets are relatively cheap since the talent is home grown. That being said, they offer classes for the public. Their performances are out of the box and offer fresh ideas and new faces to the Madison comedy scene. The Green Room Lounge is a one stop shop for everything you need for a great night out. Their Piano Lounge Sing-a-Long will be sure to keep you and your party laughing for hours. The Green Room’s ComedyCity offers improv comedy four times each week. Enjoy a special show each time—no two shows will ever be the same. Kick back and relax on Fridays and Saturdays for two unique comedy shows. Crystal Grand Music Theatre holds tons of events throughout the year. Most are of the musical type but some headliners happen to be your favorite household comics. Get tickets early as some shows have already sold out! While the Riverside Theater is more widely known for hosting musical artist, they often host nationally known comedians since their venue is so large. From funny performances to nationally touring comedians you can catch a laugh or two almost every month at the Riverside Theater in Milwaukee. View more Wisconsin Comedy Clubs.